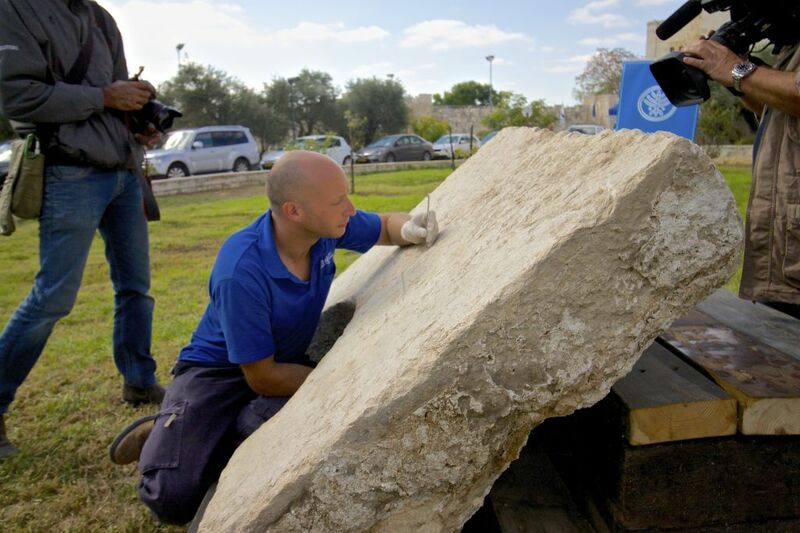 A monumental Roman inscription bearing the name of Emperor Hadrian, which surfaced in Jerusalem during salvage excavations earlier this year, was displayed to the public by the Israel Antiquities Authority on Tuesday. The massive limestone slab, roughly a meter wide, with Latin text inscribed in six lines with letters several inches high, was part of a monumental arch dedicated to the emperor in 130 CE in honor of Hadrian’s arrival. It’s one of a rare few Latin inscriptions found in Jerusalem from that period. The slab’s discovery sheds light on the timeline of Jerusalem’s reconstruction following its destruction by Rome in 70 CE, demonstrating that it was in large part rebuilt just 60 years later. “To the Imperator Caesar Traianus Hadrianus Augustus, son of the deified Traianus Parthicus, grandson of the deified Nerva, high priest, invested with the tribunician power for the 14th time, consul for the third time, father of the country [dedicated by] the 10th legion Fretensis (second hand) Antoniniana,” the text reads. The 10th legion Fretensis, garrisoned in the ruined city of Jerusalem after the first revolt and also known for its participation in the siege of Masada, dedicated the monument at the city’s entrance to Hadrian before his historic visit. 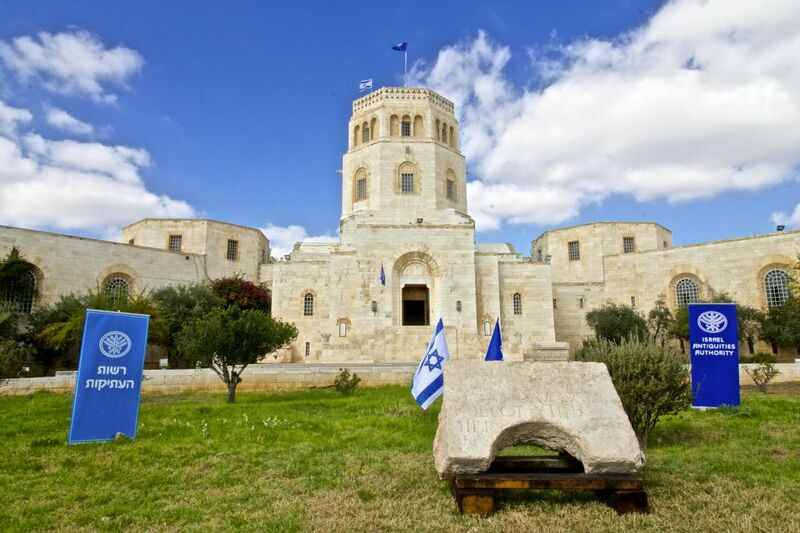 Two years after Hadrian’s visit, and after the monumental arch was erected, the province of Palestine was consumed by a second Jewish insurrection against Rome known as the Bar Kochba revolt. “This is an extraordinary find of enormous historical importance,” said IAA archaeologist Dr. Rina Avner, who headed the dig. 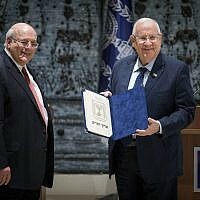 A find of this kind “is once in a lifetime, if at all.” Speaking outside the IAA headquarters at the Rockefeller Museum in East Jerusalem, Avner explained that her team found the stone slab during excavation at a construction site on Nablus Road. 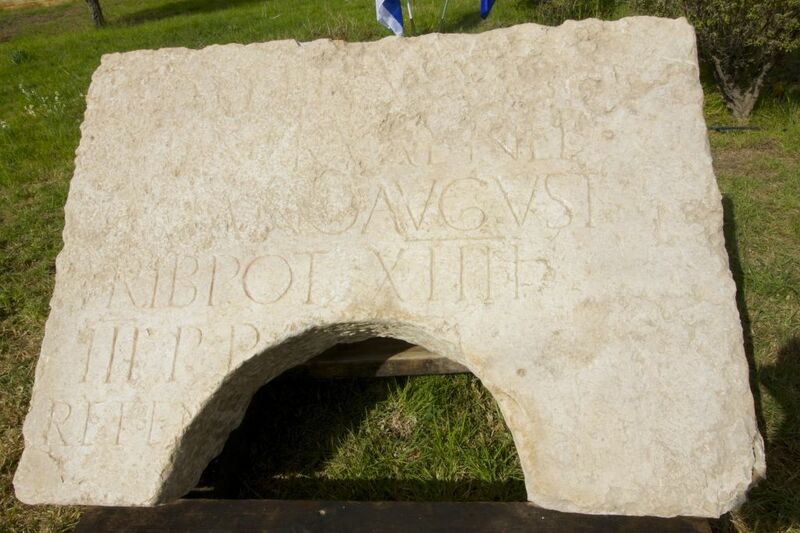 They uncovered a Byzantine cistern and were surprised to find the Roman inscription used as a capstone. 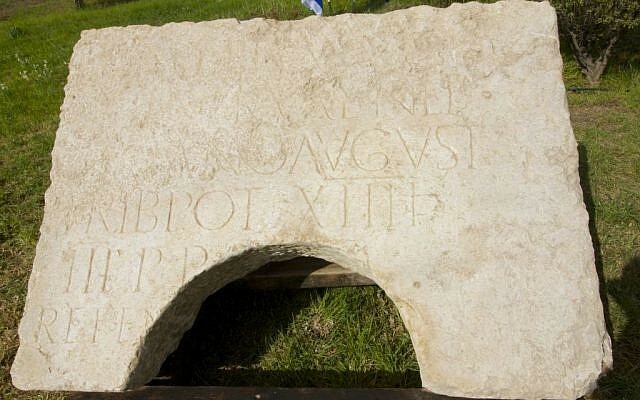 Part of the inscription was missing because a semi-circular hole was cut from the stone. By 130 CE, just 60 years after Jerusalem was destroyed by Titus, the city had its main roads, piazzas, temples and monuments, she said. Avner Ecker, a doctoral student in Classics at the Hebrew University, took part in the deciphering of the inscription. “Latin inscriptions are very formulaic so once you know them it’s not too hard to reconstruct them,” he said, adding that it was “very exciting” to witness such a massive inscription firsthand. Similar monumental arches and inscriptions were erected in other cities in the eastern part of the empire in honor of Hadrian’s arrival, including one in Gerasa, in modern Jordan, written in Greek. “Here we can say that this kind of arch would not stand at the entrance to a colossal wreck,” Ecker said. The stone is the right-hand side of an inscription found in the 1930s and currently on display at the Church of the Flagellation in Jerusalem’s Old City. One matter that the stone does not resolve, however, is the name of the city, which was changed by Hadrian to Aelia Capitolina. Scholars debate whether it took place before the Bar Kochba rebellion in 132, or after it was crushed as a punitive measure. “It leaves all arguments to the limits of Aelia Capitolina, and its location, and the change of the name and the status of the city open, unfortunately, but it provides us with an exact date of official construction activity in the city before the revolt,” she said. 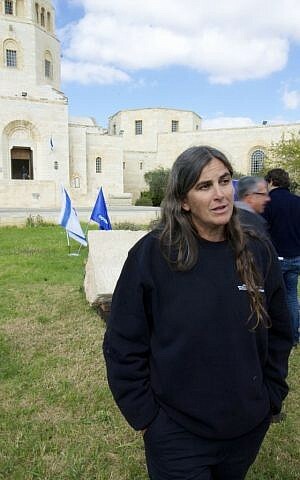 Other monumental Roman remains likely sit deep beneath the buildings on Nablus Road, she said. Avner said that she hopes the IAA and the church will make duplicates of the two inscriptions so that centuries after it was inscribed, the entire monumental arch will be reunited for the public.